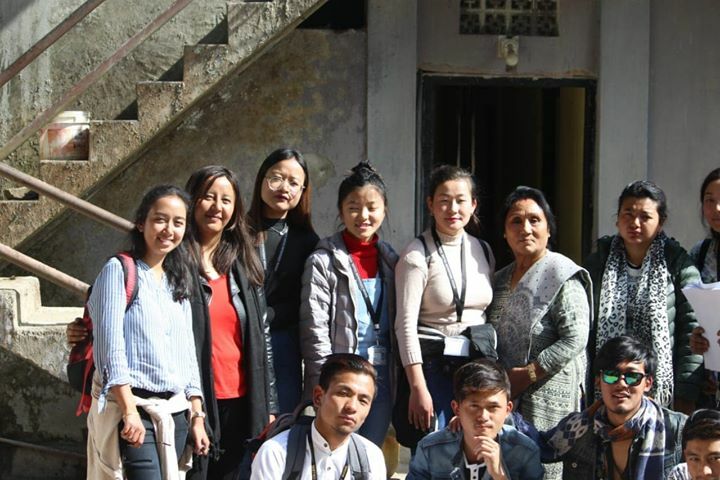 As a community, the Gorkha contribution towards India’s freedom struggle is unparalleled, however, due to lack of proper platform, time and again our community is asked what was our contribution towards India’s freedom struggle. Today we are highlighting Eight stalwarts and we will continue to highlight more in the coming days. DAL BAHADUR GIRI: Also known as “Gandhi of the Hills” was from Kalimpong. An avid nationalist and was admired by even Mahatma Gandhi himself. His political career began from Sikkim where he was a head clerk in the Royal Palace and was deported from the state by the king under the influence of British officials. He returned to Darjeeling in 1916. Later, Mahatma Gandhi called Giri’s family to Sabarmati Ashram. Giri’s wife died in Bombay in 1946. HELEN LEPCHA: Helen was born, the third daughter to Achung Lepcha in 1902 in Sangmu village, about 15 km from Namchi. The family later shifted to Kurseong where Helen received her education. However, in 1920, she got actively involved in India’s freedom movement. Helen got in touch with Gandhiji during those days and was named “Sabitri Devi” by the Father of the Nation. She led the freedom movement being based in Bihar and Uttar Pradesh, particularly in the coalmine areas. During 1939-40, when Netaji Subhas Chandra Bose was kept under house arrest in Gidda Pahar of Kurseong, Sabitri Devi was influenced by Netaji and later when he escaped the British in an Afghan costume, Sabitri Devi was instrumental in his escapade. KRISHNA BAHADUR MUKHIA: Krishna Bahadur Mukhia May 12, 1921, to September 13, 2012, was one of the bravest Indian Gorkha freedom fighters. He was the personal bodyguard and driver of Netaji Subash Chandra Bose, during his warring days in the jungles of Burma in 1943. Born in Banneckborne Tea Estate on May 12, 1921, Mukhia was recruited to the Gorkha Regiment in 1941 from the Army Depot in Ghoom, the British awestruck by his boxing skills. After fighting in many fronts for the British, he was among the troops that surrendered to the Japanese on February 15, 1942, in Malaya. As a Prisoner of War, he joined Netaji’s INA in 1943. Mukhia was the personal bodyguard of Netaji and used to gather intelligence, comb areas that he would visit and fought in the front lines. Later he was wounded in Burma, captured by the British on January 31, 1944, and taken to a prison in Bangladesh. He was kept in a prison in Burma for 6 months, faced a military tribunal and dismissed from the Gorkha Regiment under the British. He returned to Darjeeling in 1946 and got a job with the district school board. Capt. RAM SINGH THAKURI: Capt. Thakuri is one of the most well known Gorkha Indian freedom fighters. He is the composer of the current version of the Indian National Anthem, Jana Gana. After the Fall of Singapore, the Japanese forces took a large number of PoWs. Of these, a large number volunteered to join the Indian National Army. Thakuri, who had initially not volunteered, was sent to Japan, where he met Netaji Subhash Chandra Bose. Thakuri later joined the Indian National Army as it was reorganised under the leadership of Bose. Subhas Chandra Bose was instrumental in tapping the talent of Captain Ram Singh Thakuri as a dedicated music director. On his personal request, Thakuri composed the tunes for Kadam Kadam Badaye Ja, the INA’s marching song and now one of the most famous patriotic songs from India. He also composed the tune for Subh Sukh Chain ke (or the Qaumi Taran as it was known), the National Anthem adopted by Azad Hind. In 1944, Capt. Ram Singh Thakuri was decorated by Subhas Chandra Bose for his contributions. Thakuri also received a violin and a saxophone as gifts from Bose. PUSHPA KUMAR GHISING: He participated in the 1946 Naval Uprising. Puspa Kumar Ghising had actually got into the naval ammunition dump alone and taken its control after bringing down at least three British soldiers stationed there. The weapons thus procured then from the ammunition dump were used by the Indian sailors to hold back the British for 5 days. Ultimately on the fifth day, the Indian National Congress had intervened and coaxed the sailors to lay down their arms. Ghising and his friends were arrested and taken to the Mulundi Jail where he was court-martialed but acquitted during the trail. He resigned from the Navy on September 8, 1946, to plunge into the independence movement now on its ultimate stage. In recognition of Ghisingh’s role in the Independence movement, the government felicitated him with the Tamra Patra on August 15, 1989. Unlike the Sepoy Mutiny, Non-cooperation Movement and other important incidents, which punctuated the freedom struggle, the Naval Uprising has not been given much importance in history books. Ghisingh was a follower of Subhas Chandra Bose till his last days and believed that the country would have taken a different shape had Netaji played an active part in the politics of independent India. Gaga Tshering Dukpa was a passionate teacher, he taught in Mirik and Sukhia Pokhari schools. He was a nationalist at heart and believed that British should be kicked out of India at the earliest. However in 1941, he was transferred to Turnbull School Darjeeling, and within months was asked to join the British 2nd World War efforts. Gaga refused to join the war on behalf of the British and resisted all efforts to enlist him in the army. He was later arrested on the charges of sedition, for he had told his students to protest against the British. As a result, Gaga removed from his job and jailed. After his return from the jail, Gaga continued with his anti-British protests and activities and was the leading member of Congress in Darjeeling. Subedar Niranjan Singh Chettri led the contingent of Native Gorkhali soldiers for revolutionary Manipuri hero Jubraj Tekendrajit Singh. When East India Company was taking over different parts of India bit by bit and entered Manipur, the Manipuri hero Jubraj Bir Tekendrajit Singh decided to fight against the British than surrender. Much like Chattrapati Shivaji and Rani Laxmibai, Jubraj Tekendrajit Singh became a martyr in the battlefield. On this day, the Gorkhalis of India remember, salute and celebrate the brave heart Subedar Niranjan Singh Chettri, who was hanged by the British in 1891 for his role in the “Revolt of Manipur”. His bravery and patriotism were unparalleled, yet his act of patriotism, much like acts of patriotism from the rest of North-East India was lost in pages of history. Major DURGA MALLA: He was born on 1 July 1913 at village Doiwala in Dehradun district of Uttaranchal. 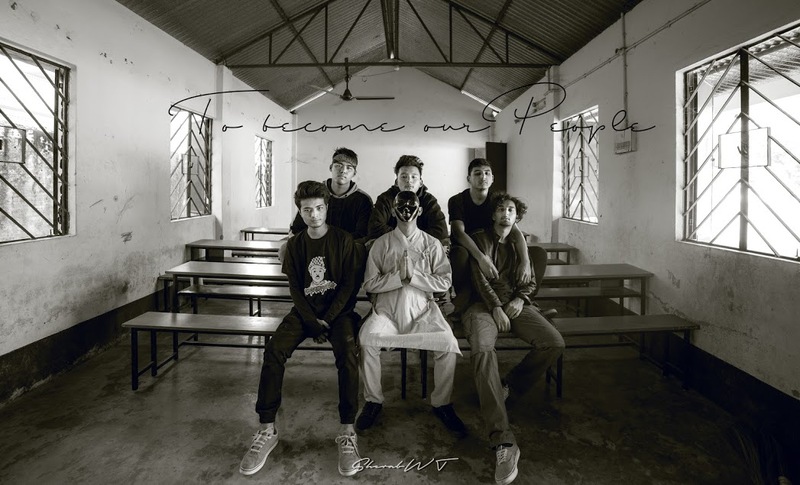 Durga Malla had drawn inspiration from the poet and social reformer Subedar-Major Bahadur Singh Baral and the musician and playwright Mitra Sen Thapa. He was greatly inspired by the prominent Gandhian freedom fighters of Dehradun like Thakur Chandan Singh, Veer Khadagabahadur Singh Bisht, Pandit Ishwaranand Gorkha and Amar Singh Thapa. The Dandi March of Mahatma Gandhi in 1930 to violate “salt rule” started generating patriotic sentiments in the heart of Durga Malla, motivating him to take part in the freedom struggle. At the time of the Satyagraha movement, Durga Malla was only a student of the ninth class, but he was actively engaged in anti-British activities in his locality. He used to enter the Gorkha battalion area in the night with some of his friends to paste posters of the freedom struggle. Sometimes, he participated in processions with freedom fighters. Due to his anti-British activities, his family was frequently subjected to severe interrogation by the British Government. Durga Malla was in his youth in 1930. The formation of the Indian National Army represented a milestone in the history of India’s freedom struggle. Durga Malla was one of those who played an important role in the formation of the Indian National Army. In 1942, he not only joined this Army with a patriotic zeal but also inspired his fellow men to join it. Initially, Durga Malla was given the responsibility to mobilize volunteers for the Indian National Army from different Gorkha battalions. Later, by virtue of his patriotic feelings, his sense of duty towards his country and his valour, he earned promotion to the rank of Major. When after the formation of the Provisional Azad Hind Government under the supreme command of Netaji Subhas Chandra Bose war was declared against the Allied Forces on 25 October 1943, soldiers of different branches of the Indian National Army were deployed on the fronts. Durga Malla was posted in the Intelligence Branch. On 25th August 1944, he was sent to the gallows. Please SHARE… let us spread the knowledge about Gorkha contribution towards India’s freedom struggles. 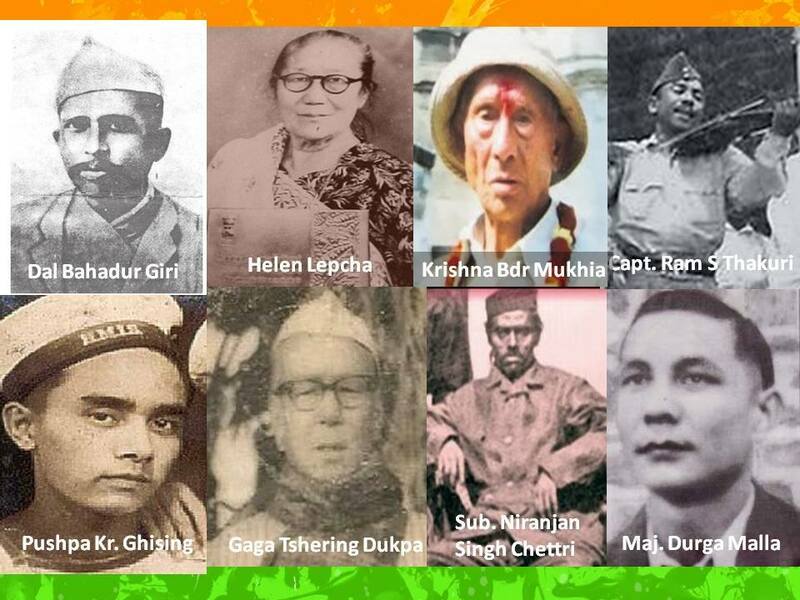 Be the first to comment on "Independence Day Special – Know Our Gorkha Freedom Fighters"